Create a life with purpose and fulfillment! 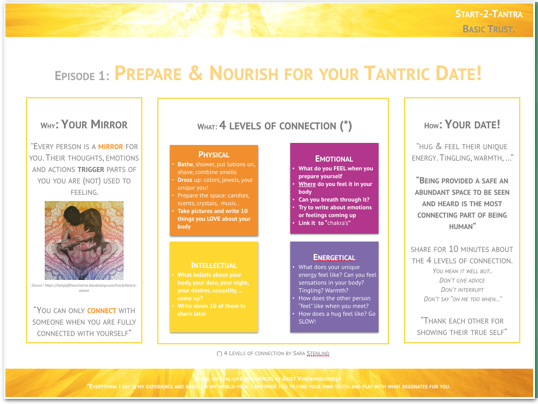 Nourishing yourself, getting to know your thoughts & emotions preparing for your “first” date! Learn to meditate, letting energy flow through your body, energizing and boosting you! MoovCoaches have all learned by doing. 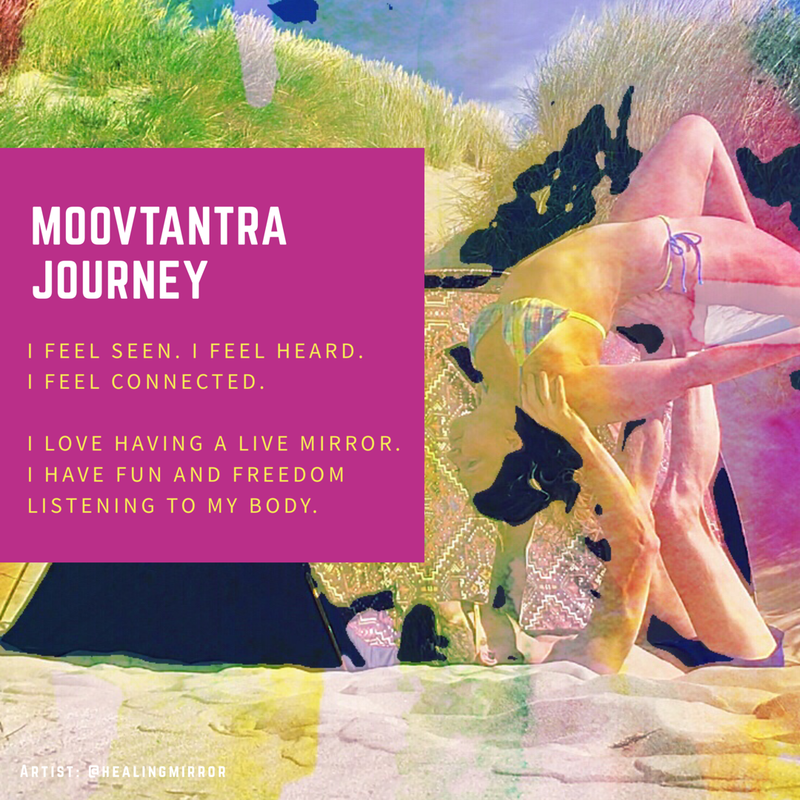 MoovTantra Expert Griet Vandenhouweele will talk you through all the steps she and her team have been doing for over 4 years via a video training. Your video training is supported by “cheatsheet” you can use during your practice to get your inspiration and creativity boosted! The course is designed for you to find YOUR practice by inspiring you to listen to your body. 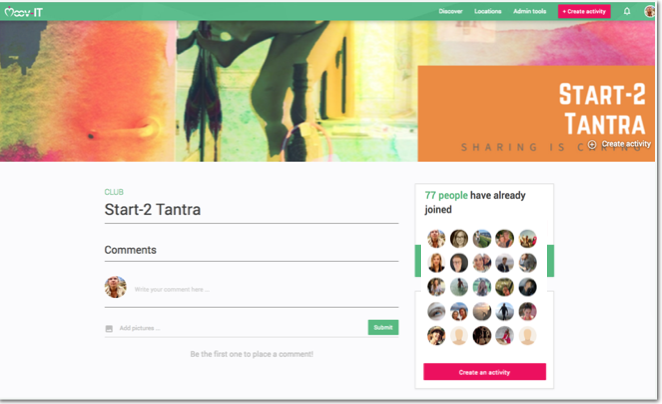 You will be invited to the global community of Start-2 MoovTantra-ers. In this online “club” you can ask questions, share experiencing and boost each other with real-life learnings and stories. For this course you’ll make use of the MoovAcademy: a new hands-on way of learning. Learn the ins and outs of corporate wellness at your own tempo, supported by your buddy through engaging video tutorials. Learn to connect with yourself and others via “learning by doing!”. Get cheatsheets, and a summary of inspiring teachers based on 4 years of experience of the Moov-IT team guiding you through every step! Get quick and personal support along the way from one of the Moov-IT’s professional coaches and learn quicker via the global community! Via website or mobile web. 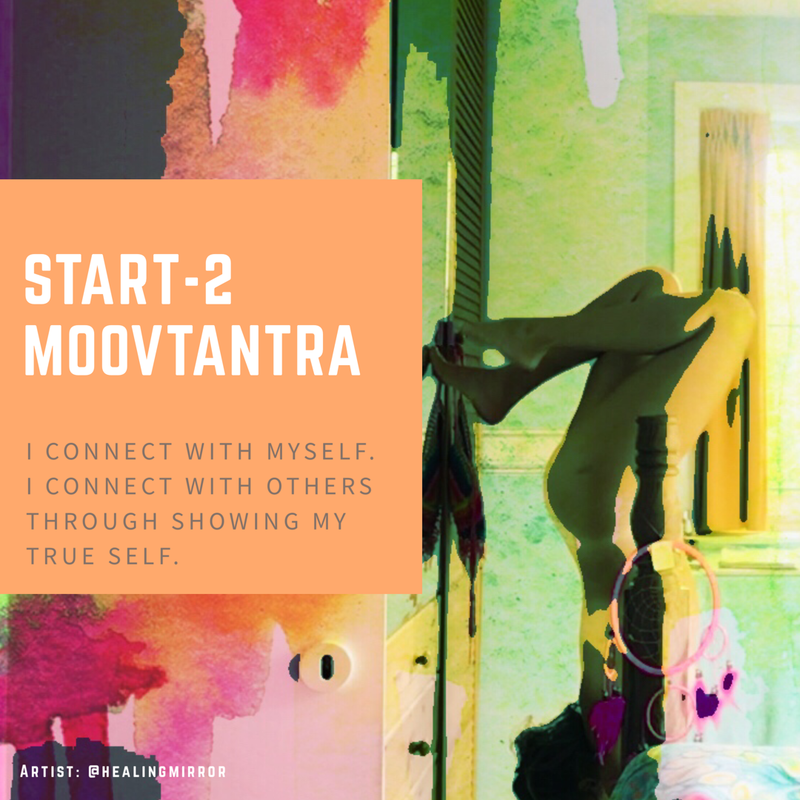 We welcome you to the Start 2 MoovTantra Community and guide you all the way to creating a life of fulfillment and freedom! Already a Tantra Passionate? You will for sure deepen your purpose and skills creating deeper foundations, appreciation and support in your life! Curious if this is for you? Share your thoughts and we’ll guide you through!